Real coal. The glue is still wet. 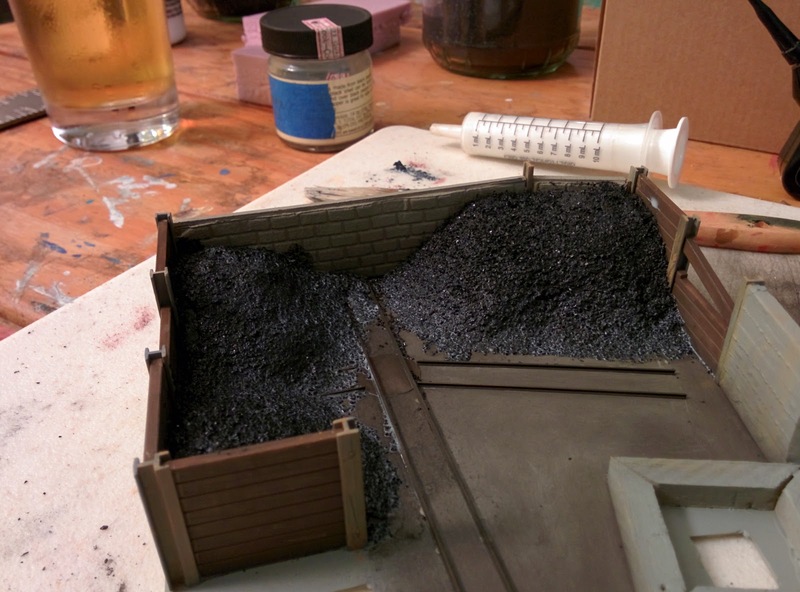 I shaped the coal heaps for the bunker from insulation board tonight, painted them black, dirtied the grounds, and glued the heaps in place. 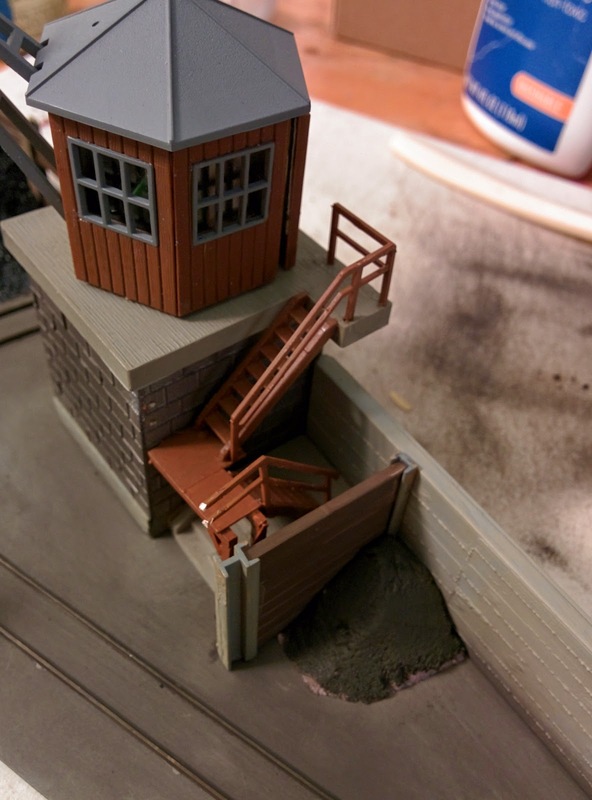 While the paint dried, I weathered and dirtied the grounds of the coal bunker. 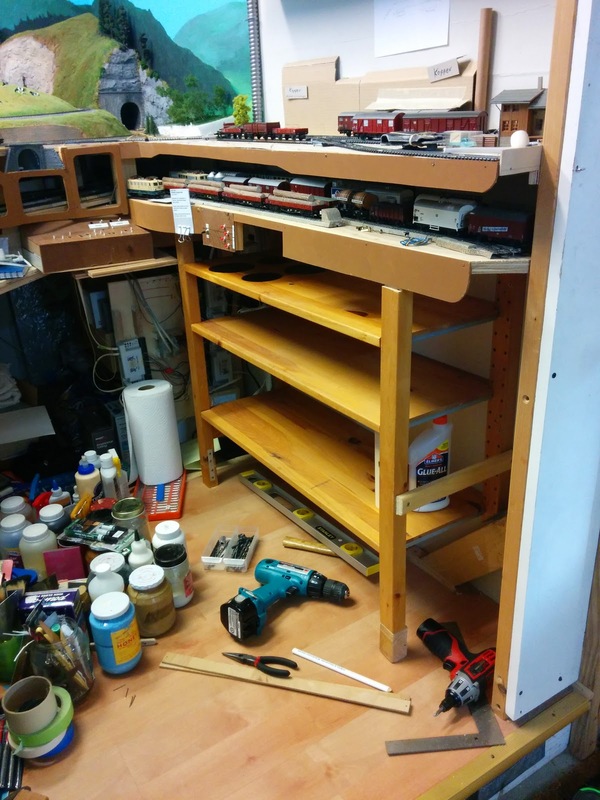 Heaps glued into place. I'll let that all dry overnight. Then it's time to add the coal. 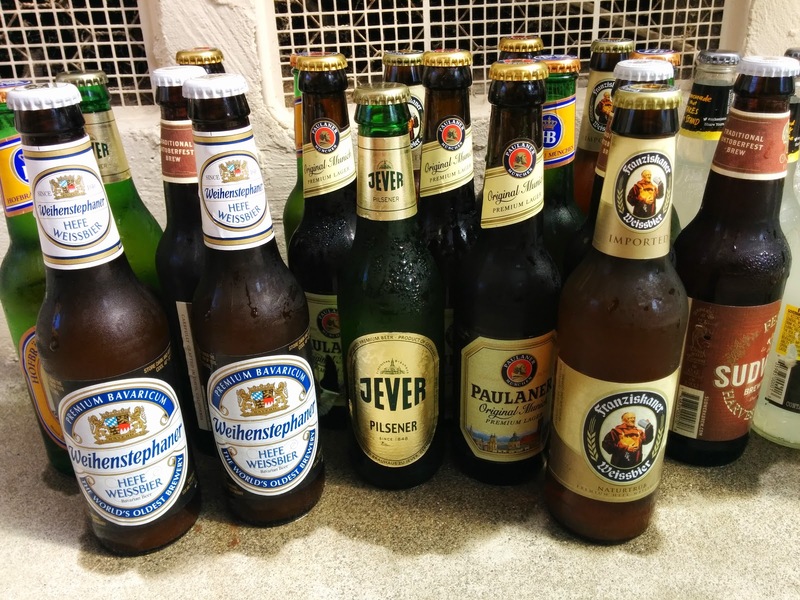 Left-overs from last night. Life is tough. 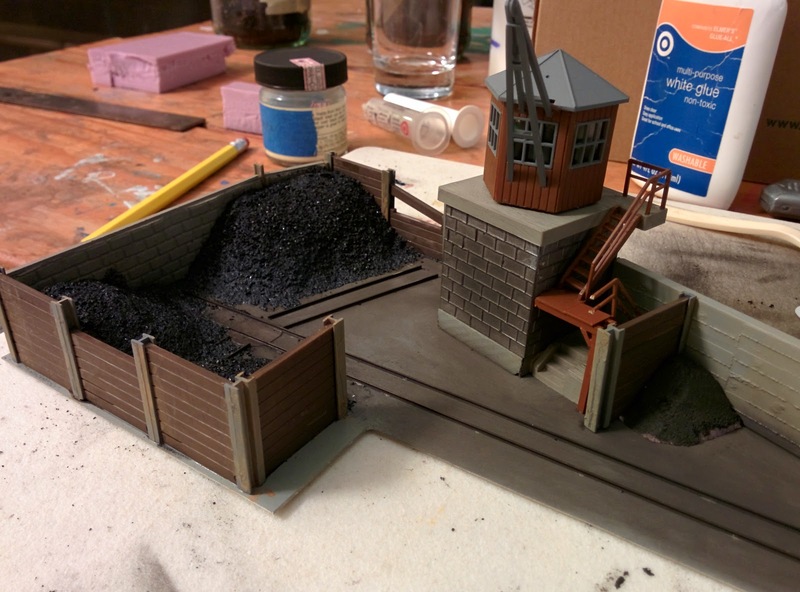 I'm building the coaling bunker for the Lokstation. 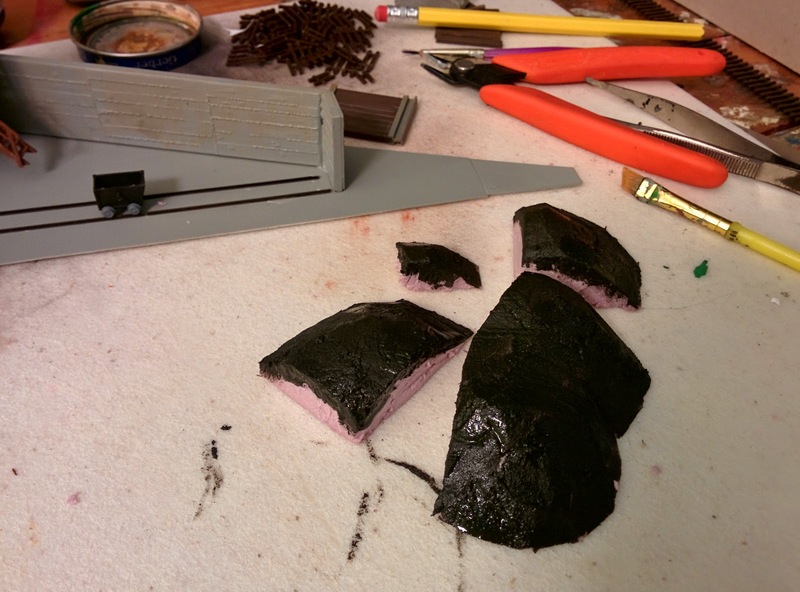 The tracks around it are curved, and there isn't a whole lot of space, so it was clear from the beginning that the base plate from the kit won't be used. 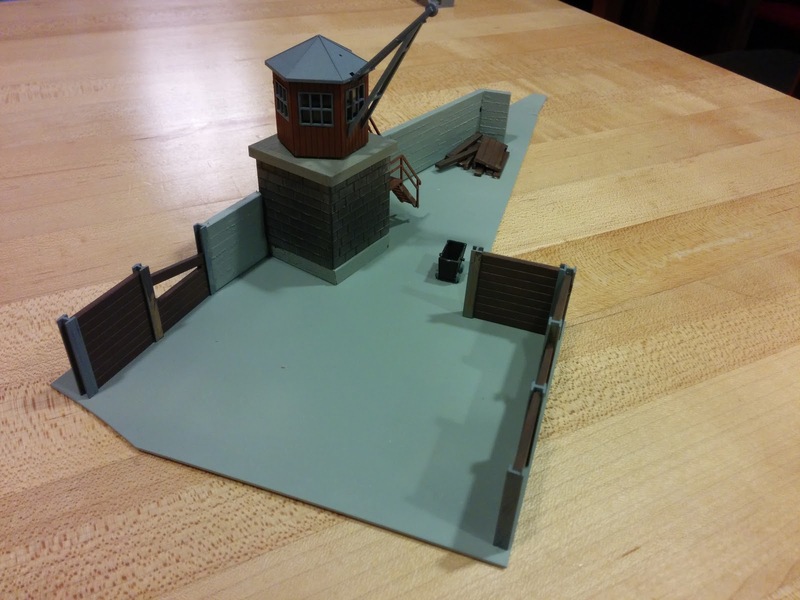 I need to build a new base that fits my track arrangement, and kit-bash the parts from the kit to fit. 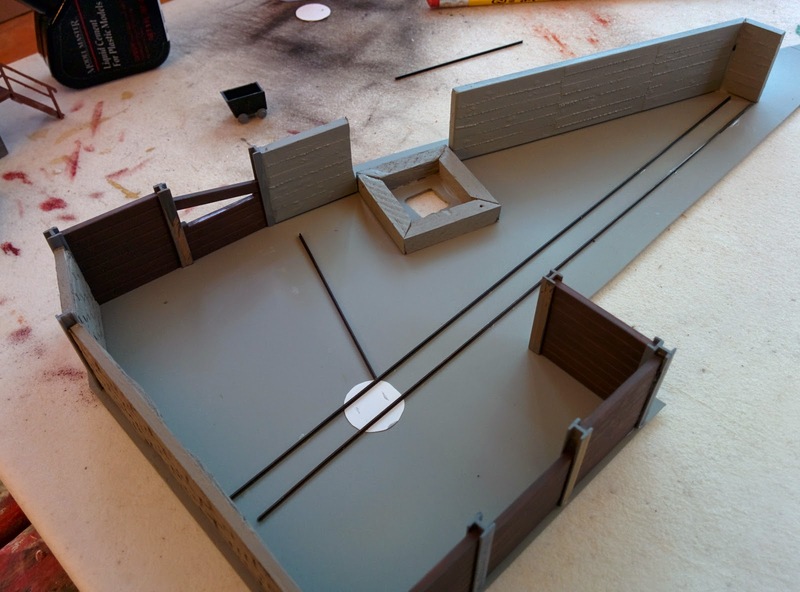 Also, the area I have available is larger than the bunker from the kit, so I have to come up with additional wall pieces as needed. ... and from the south-east. 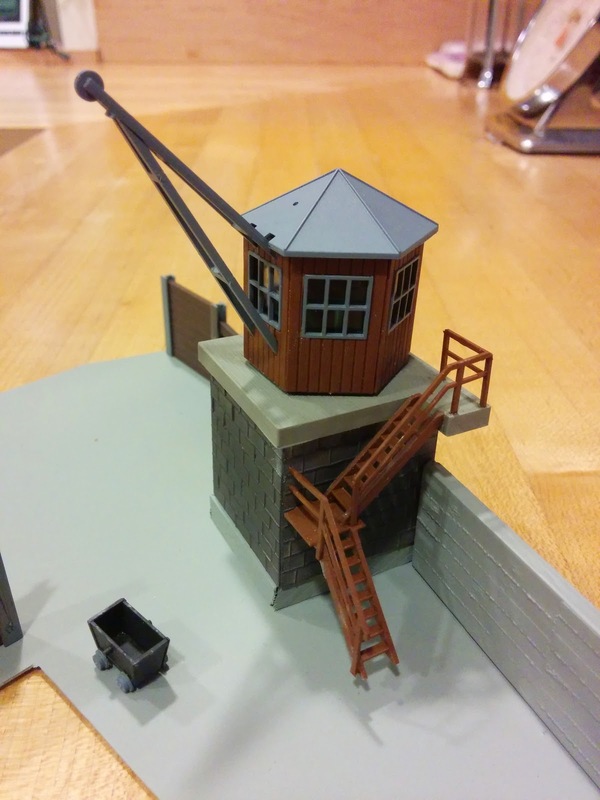 I decided to raise the crane a bit higher and build a small concrete pedestal similar to the one in the kit, but smaller. 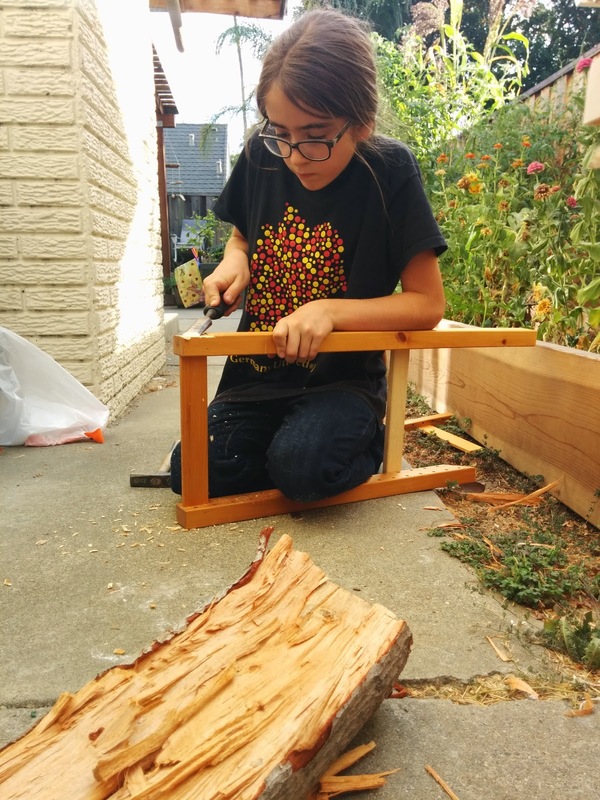 This was completed reasonably quickly from a couple balsa sticks. 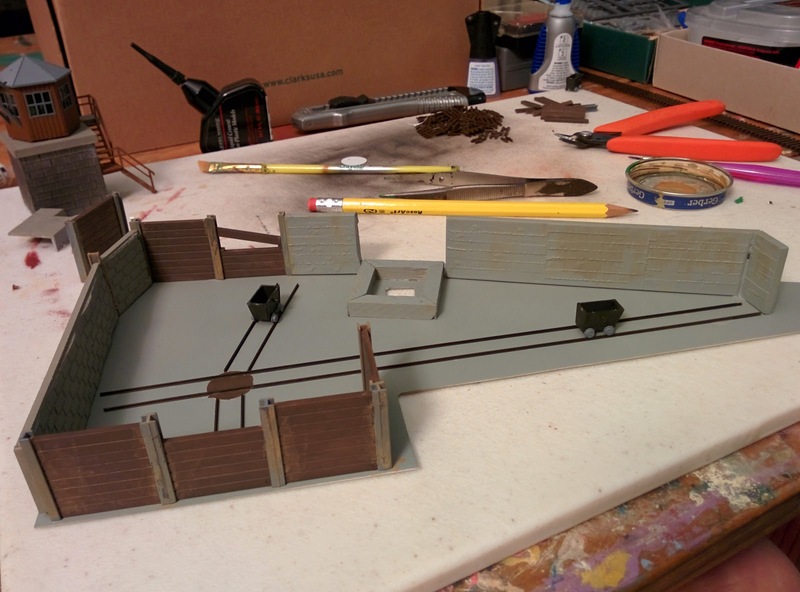 I carefully marked clearances from the adjacent tracks, arranged and placed the concrete walls from the kit, and spray painted the walls. 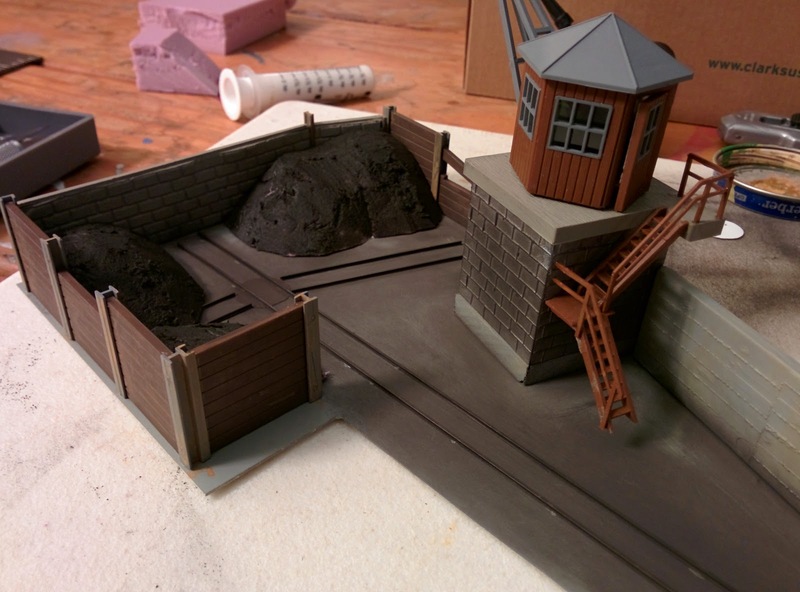 There will be some narrow gauge tracks inside the bunker for the coal carts. 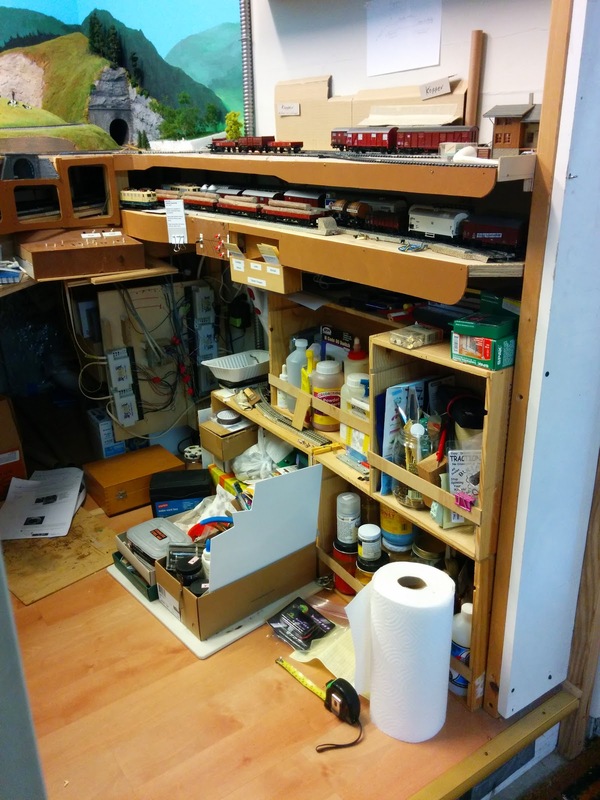 I'll probably use modified code 55 N scale track for that. 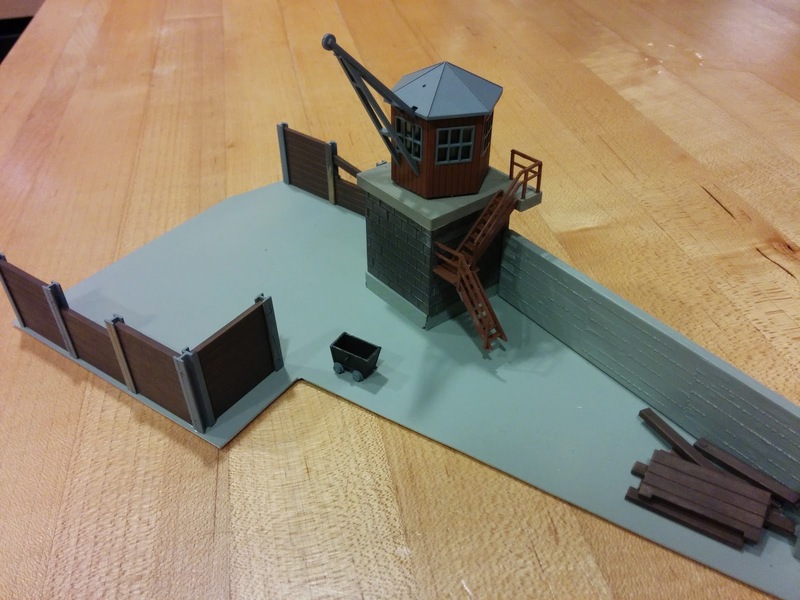 While looking at the layout of the bunker I realized that the stairs I carefully arranged to the crane base take up quite a bit of space, and the prototype would have likely constructed them in a more space saving manner, that also keeps the stairs clear of lifted coal carts. It took me a lot less time than expected to ride my bike to the Blossom Hill Caltrain station this morning, and I had the pleasure of just barely missing the previous train. At least I got a little video out of it. Our meat plate at La Fondue last night. 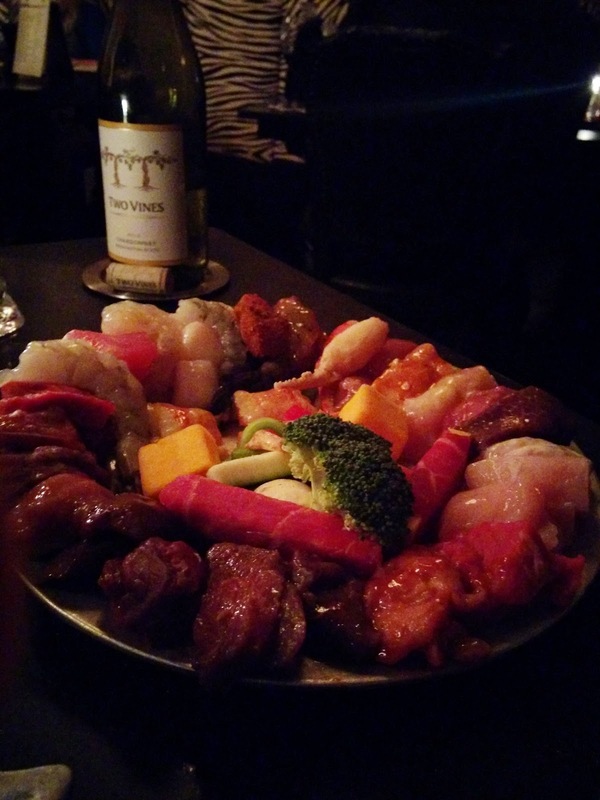 Various kinds of chicken, game, beef, and sea food, including oddities like kangaroo, alligator tail, or antelope. 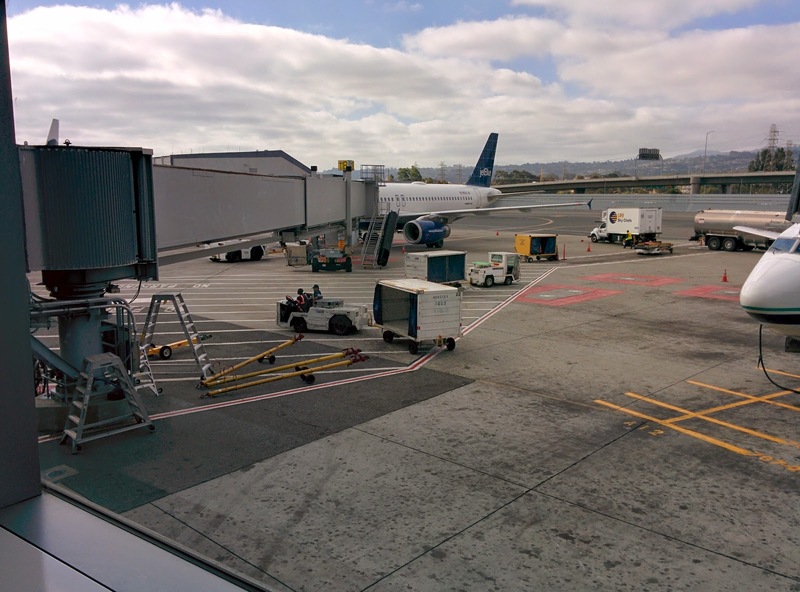 The inbound flight just arrived, so the plane for my flight to SFO is at the gate right on time. 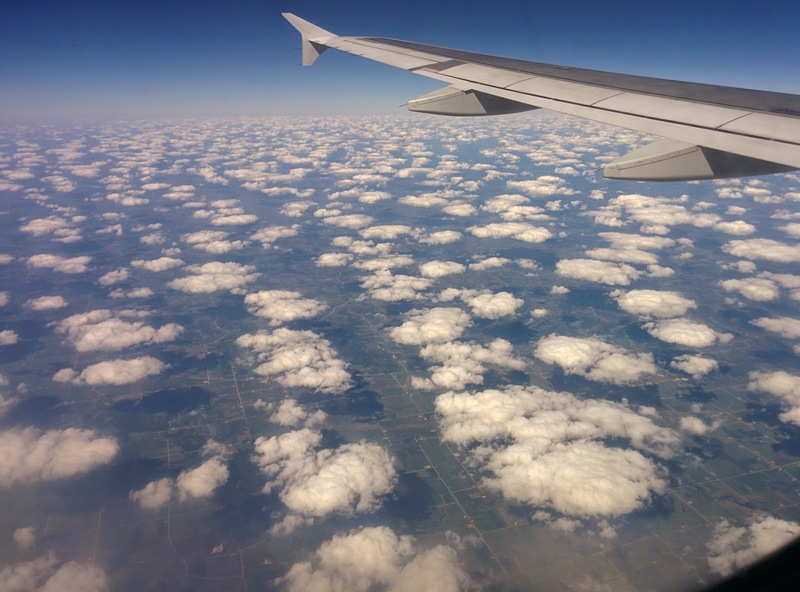 We're on-track for an on-time departure. Pretty, isn't it? 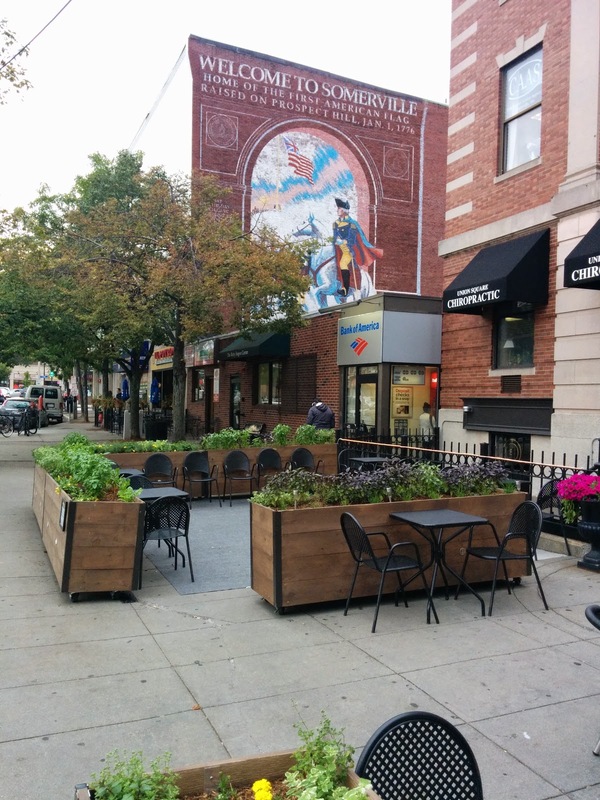 I've been in Cambridge, MA a few times before, but didn't know that this gem even existed. 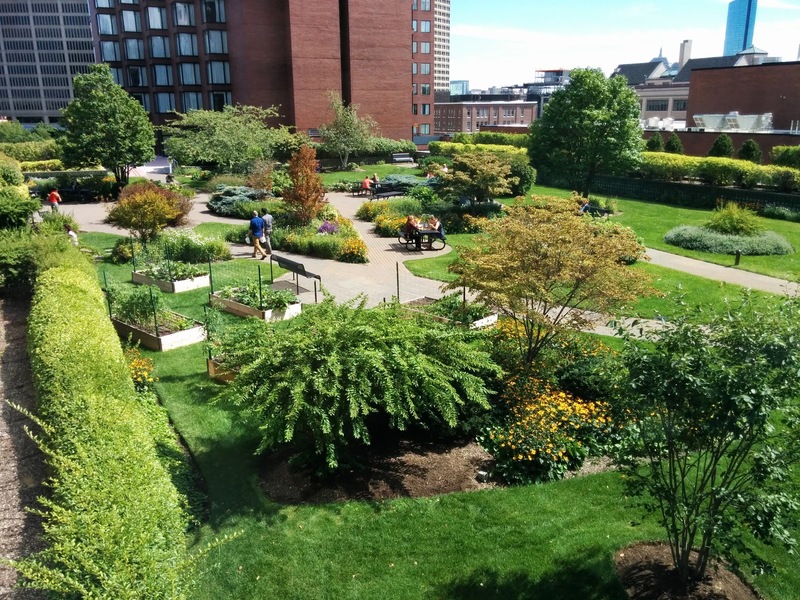 This garden on top of a parking garage was at the center of a Cambridge council fight a couple years ago. 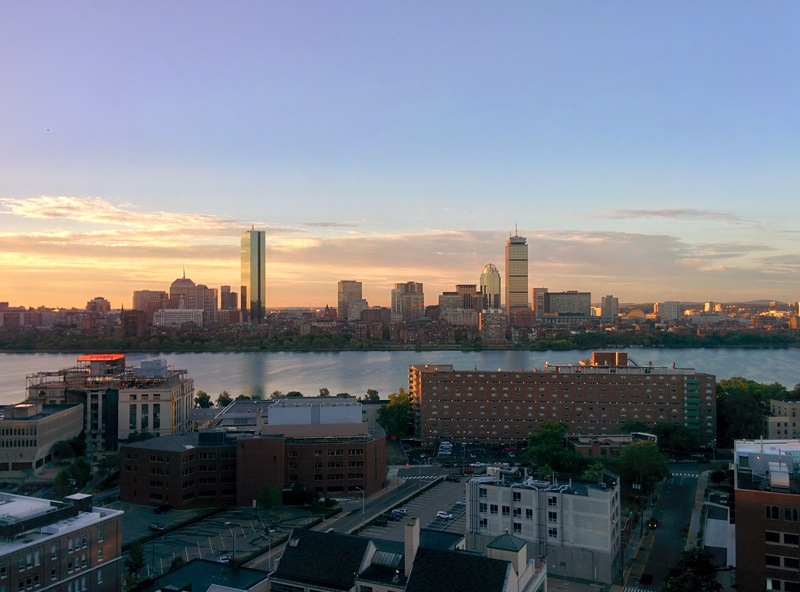 MIT is right across the street. 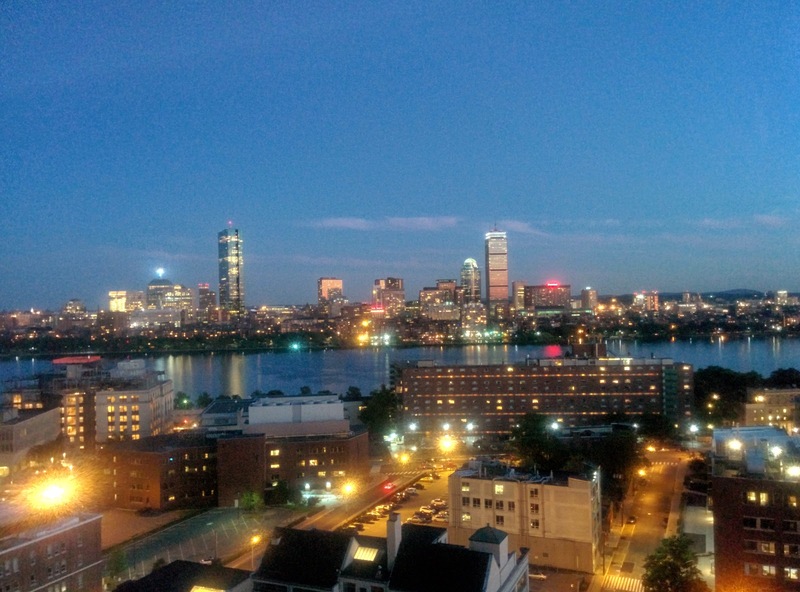 The sensor in the Nexus 5 has trouble with the lighting and the picture came out fairly noisy, but this looks still pretty neat. 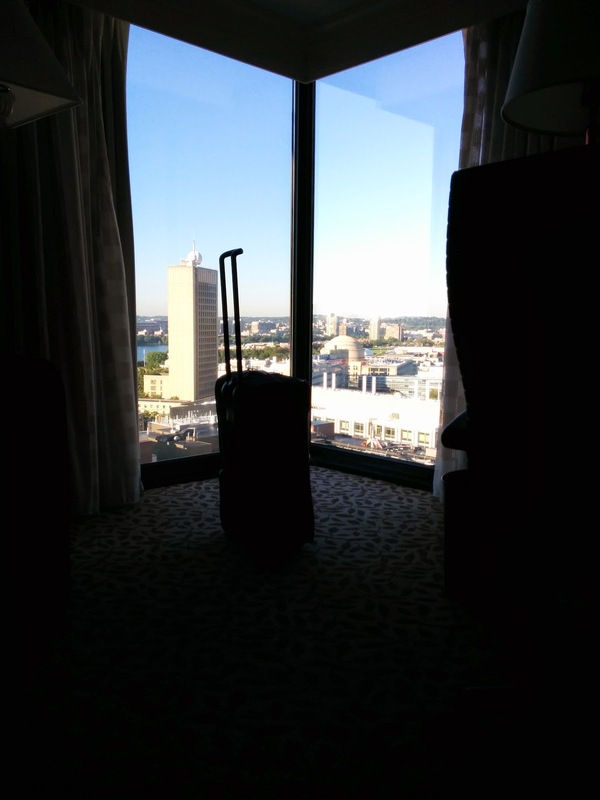 Boston it is again. 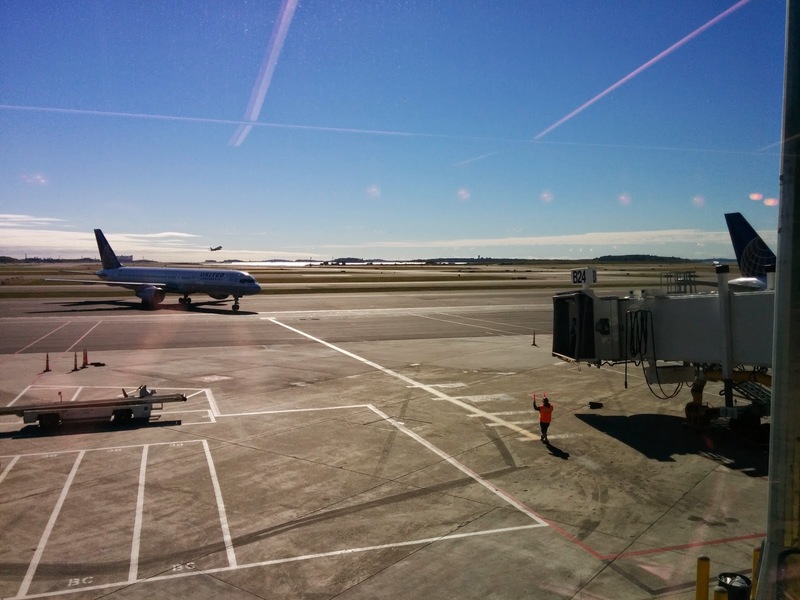 I'm trying JetBlue today. The coaling crane got put on its pedestal tonight. 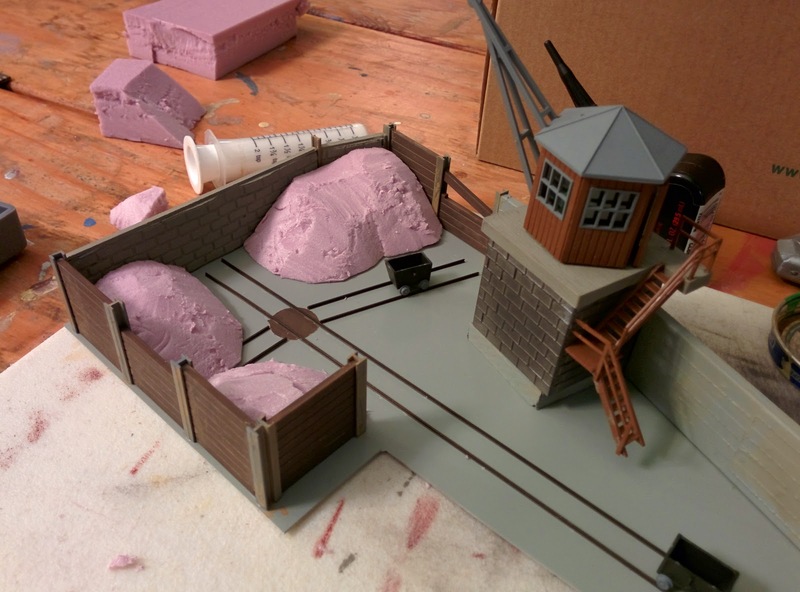 I also cut and spray-painted the concrete floor of the coaling area. The service track looks funny with concrete on one side and ties under the rails and the other side, so I will probably cover that up as well. 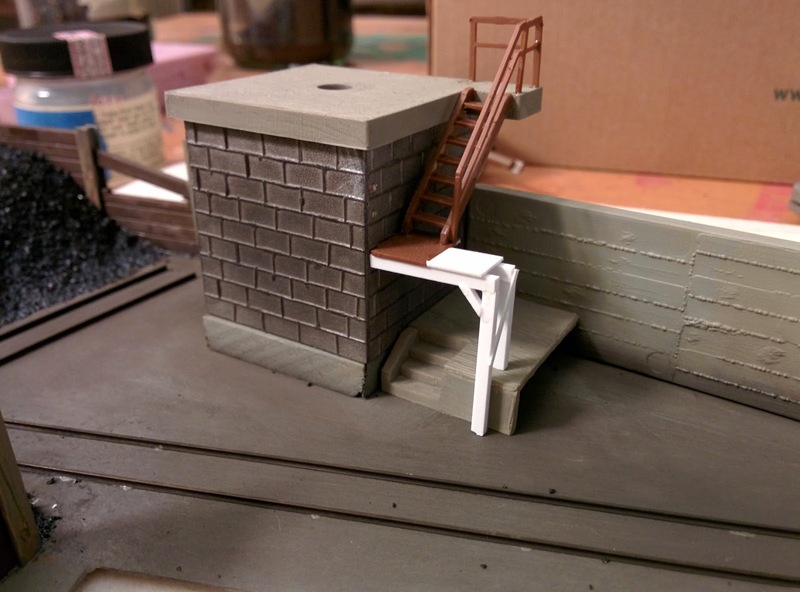 The color of the spray paint is not a perfect match with the concrete color I used between the rails, but I expect that by the time I'm done with dirtying everything up, the difference will be negligible. The second photo shows the area that will become the coal storage bunker. So far, so good. 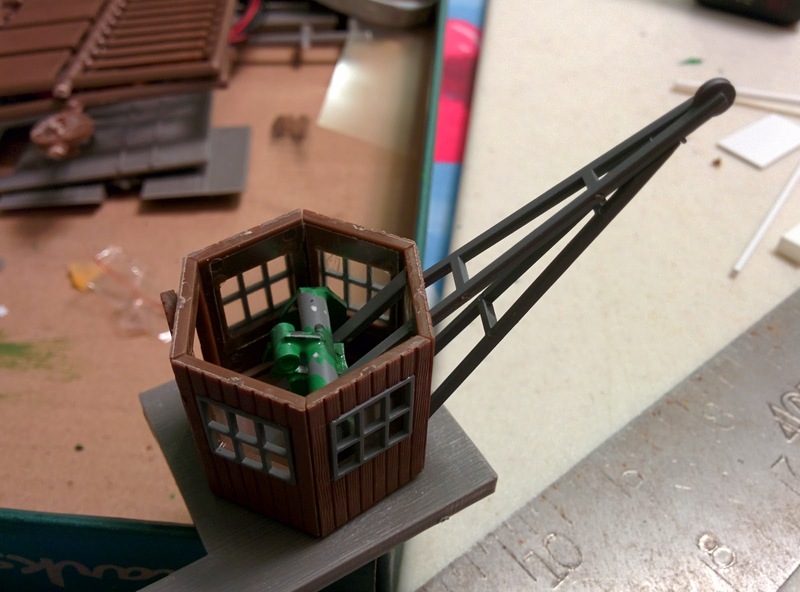 The cab of the coaling crane in Faller kit #120147 doesn't come with an interior. 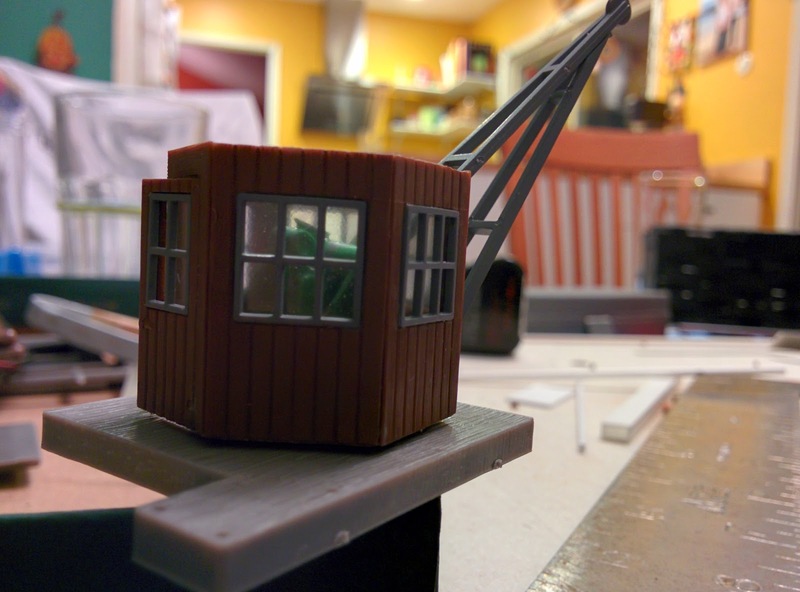 I don't really care about a super-accurate representation of what such a crane cab might have looked like inside. However, given that this thing has windows all around, it's easy to tell it's just a hollow shell. As you can see this is very rough and by no means accurate. But when viewed through the windows, you get the idea that the crane arm continues into the cab, and there's some machinery inside. Even if you can't quite tell what it is exactly, you do get the impression that there is something. And that's all I'm aiming for. 6 years ago I wrote a post about digital breaking sections and how to improve dumb decoder behavior with computer control. 5 years ago, after starting to actually build the Welztalbahn (it had no name at the time), I tried out srcpd and spdrs60 and found quite a few bugs without even trying that hard. 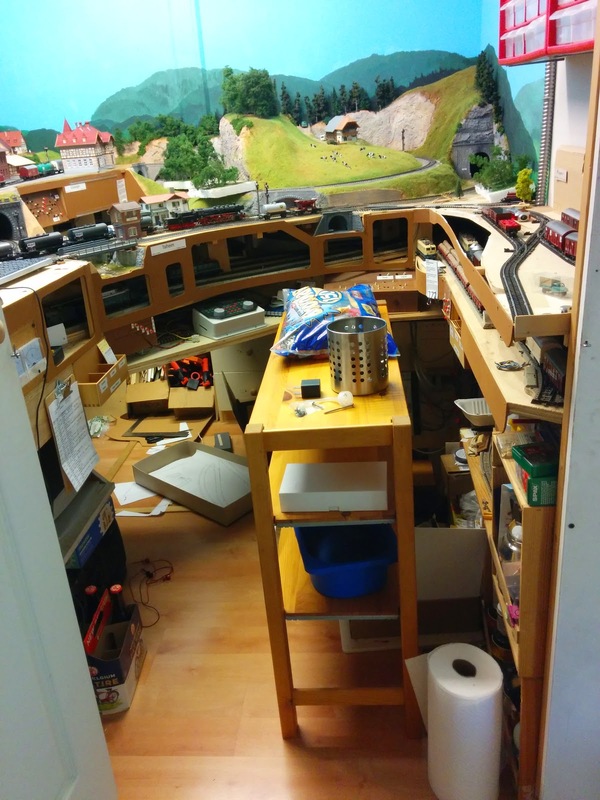 Over the last couple years I build computer control of the Welztalbahn on top of JMRI, mostly using Logix. 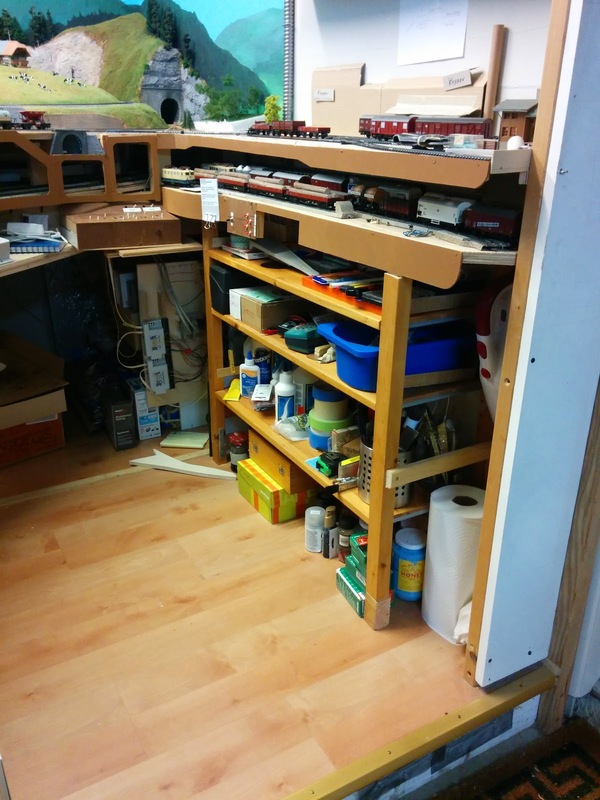 Last year this effort reached new heights when I had computer control of sensors, signals and turnouts on the whole layout, including automatic reset of signals to Red when a train passes by. Tonight, I took the next step and wrote a little script to automate control of a train so that it obeys the actual signals in Talheim and Emsingen, as well as the JMRI internal signals that control hidden staging. This is written in Jython and uses JMRIs Automaton code. This is pretty simple code for now, but it was a lot of fun to have two trains chasing each other on a loop route, driven by the computer, stop at signals controlled by the custom built hard panels, just the way I imagined 6 years ago. Add failure detection. The script monitors sensors and waits for the train to trigger the sensor in the next block. If the train gets stuck on dirty track, derails, or happens to take the wrong leg of a turnout, the script doesn't care. I need to fix the code, so that the current blocks of the train route are monitored and when the train "disappears" stop everything. Add more exact stopping. 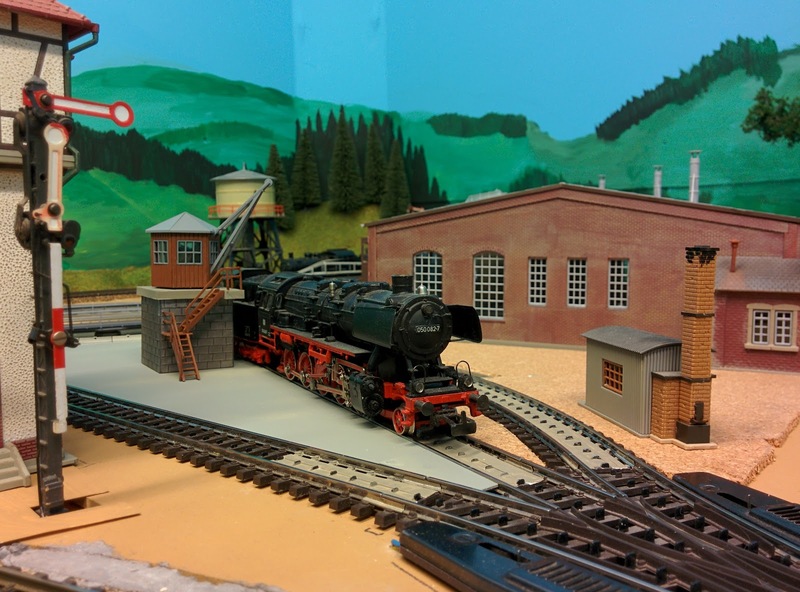 This requires measuring out stopping distances as well as calibrate locomotives. I don't think this needs to be super exact. Just good enough for a train to pull up to the signal. Add a simple dispatcher module. For now a human needs to set signals to Green so that trains can proceed. The next step is for another thread to figure out if the next section is free, assign it to a train and set the signals accordingly, so that the locomotive threads can control their trains. Integrate with my hard panels. 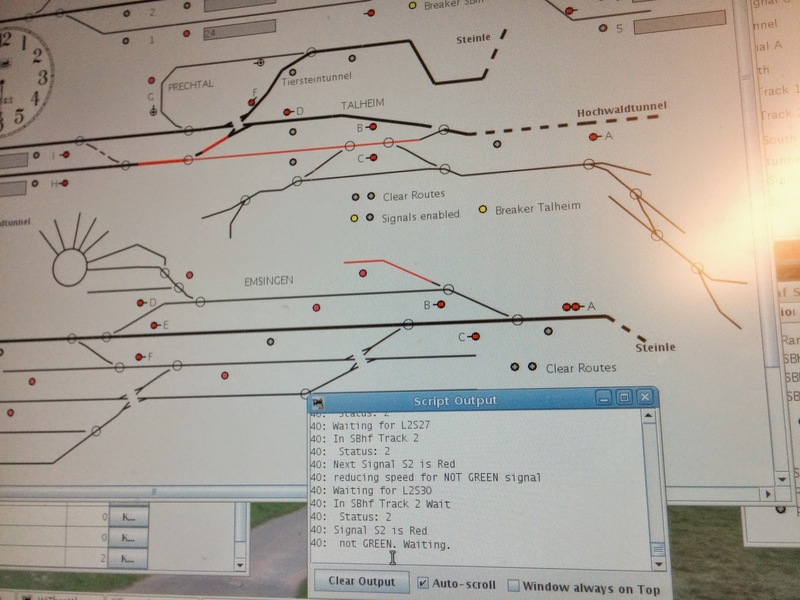 A human operator switching cars in Emsingen or Talheim needs the ability to prevent the dispatcher module from assigning tracks inside the station. I already have a switching mode in each station that's used to line turnouts without affecting signals, so I'll likely use that. Add ability for different routes. 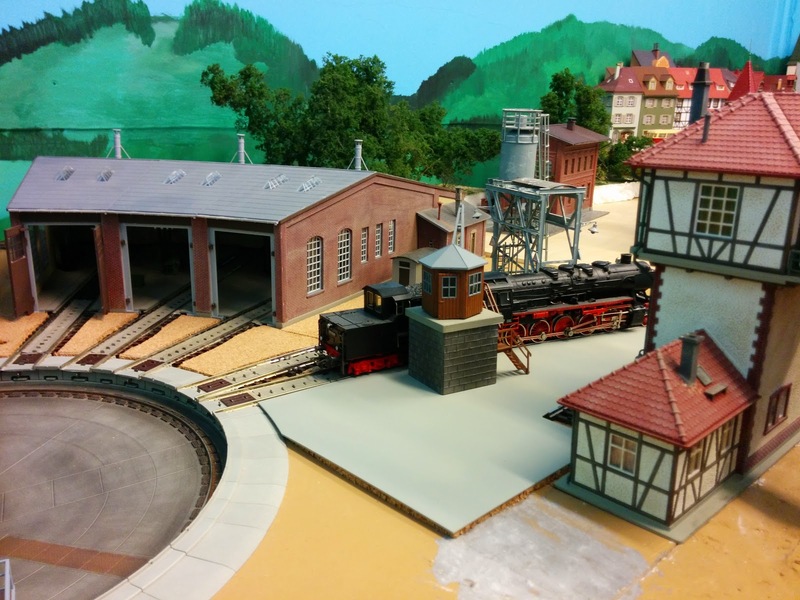 The layout easily supports 3 trains chasing each other on a loop, and that tends to keep casual visitors entertained. However, when operating by myself I want trains to use different routes on occasion to make it a bit more interesting. And finally, add some UI on my main computer panel, so I can tell what's going on without having to look at a scrolling log file. Nevertheless, this is really exciting and it got way too late today.